Early 60's style Jazzmaster pickup winding. Magnet gaussing, DC resistance and inductance are taken from original 1963 Jazzmaster pickup. Tight low end and snappy highs. Works well for old school rock, pop, surf players etc. The Neck pickup is slightly underwound for better balance. Plain enamel Awg42 magnet wire. High quality Alnico5 rod magnets. Vintage correct coil height (1/8") and magnet length. Vulcanized fiber bobbins, cloth-insulated single-conductor (Unshielded push-back wire). Cover is not included. Wound with Heavy Formvar Awg42 magnet wire. Sweet highs and rounder low end than with the 60's style winding. High quality Alnico5 rod magnets. Vintage correct coil height (1/8") and magnet length. Vulcanized fiber bobbins, cloth-insulated single-conductor (Unshielded push-back wire). 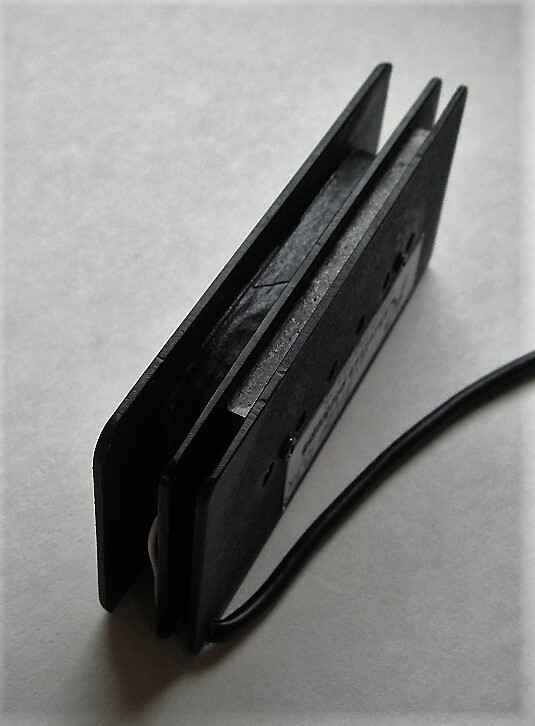 A P90 pickup built inside Jazzmaster cover. Thick midrange, clean highs. PolyNylon magnet wire, two Alnico5 bar magnets. Vulcanized fiber bobbins, two-conductor shielded wire. Can be used with a genuine Jazzmaster pickup cover. The cover is not included. Can also be wound according to customer requirements. This is Mosrite style SurfBar pickup built inside Jazzmaster cover. Alnico5 magnets, Awg 43 magnet wire. Slotted fillister head pole screws. Wooden bobbin core, vulcanized fiber bobbin flatwork. 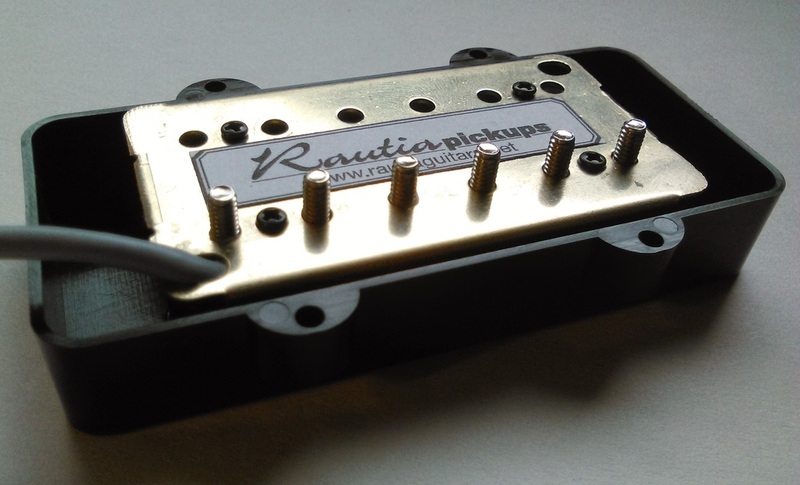 The pickup will fit directly into the Jazzmaster pickup cavity. Nice, clear fat tone. Perfect for surfmusic, but also works well with dirtier sound. 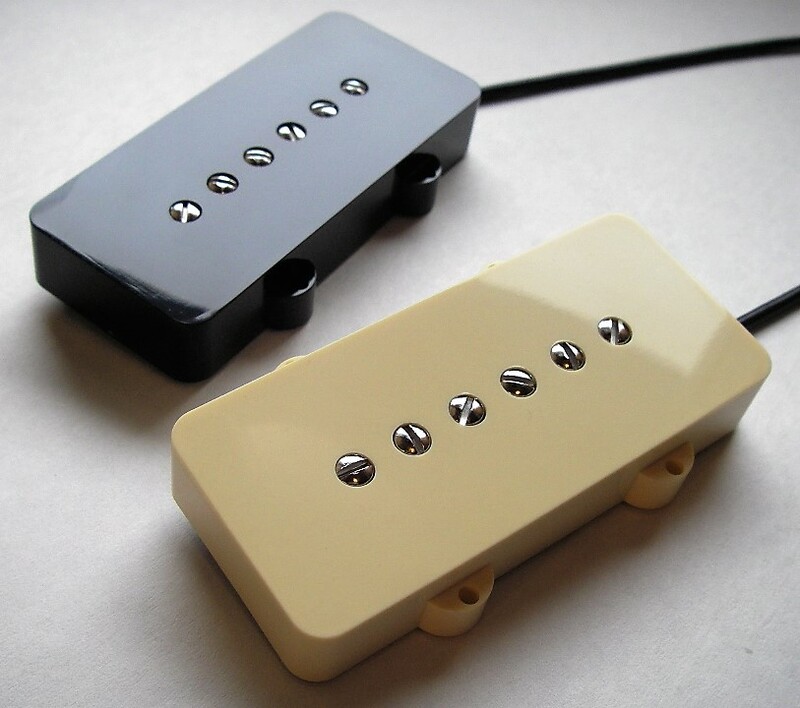 A hot bridge pickup for a darker traditional Mosrite style lead tone. Jens from Germany sent these recordings. Guitar: Jazzmaster with Surfride pickups. All my Trad Humbuckers can be built inside Jazzmaster cover. Can also be custom wound according to customer requirements. Pole piece spacing: 49.2 mm, 50 mm or 52 mm. Two or four conductor shielded wire. 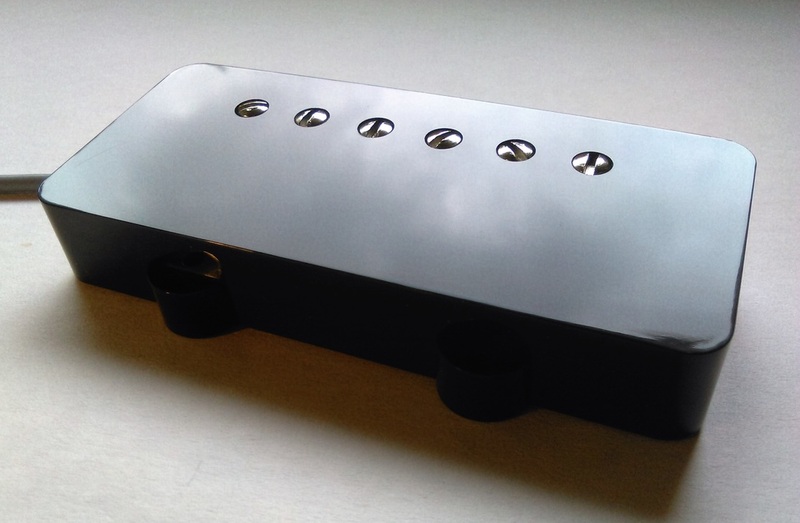 CCBar pickup built inside Jazzmaster cover. ​Wound with Awg38 (0.1 mm) magnet wire. Degaussed Alnico5 bar magnets. Jazzmaster cover and original-style top plate. 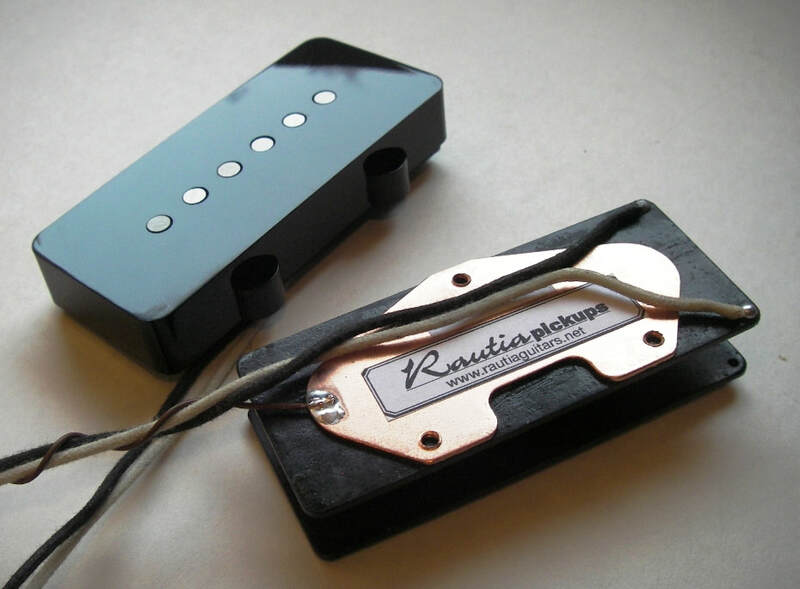 Standard Jazzmaster pickup mounting. Note, the pickup is approximately 6 mm taller than a regular Jazzmaster pickup. Cover colors: Black or cream. 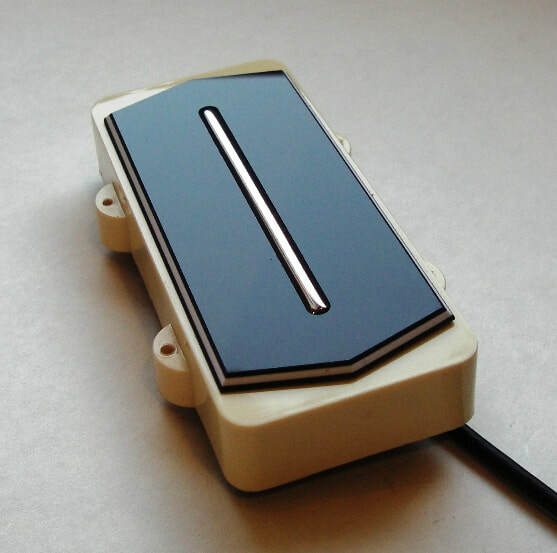 Top plate colours: Black, white, Tortoise and Cream. Get a Telecaster style tone from your Jazzmaster. 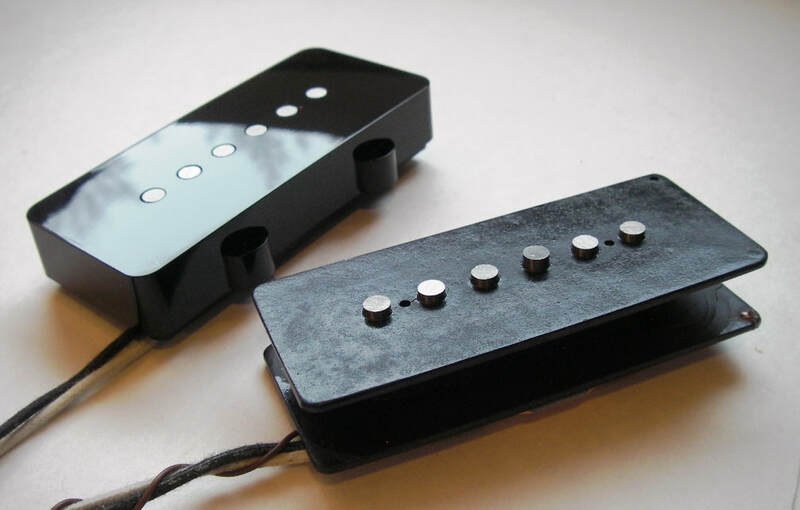 Telecaster bridge and neck pickup in Jazzmaster pickup size. Steel base plate under the bridge pickup. -Flat, other staggering if requested. Every pickup's magnets are gaussed to specific strength and measured with a gaussmeter. -Plain enamel: Insulated with a film of oleoresinous enamel, single build. Pe is the oldest of the film insulations. Tight low-end, snappy highs. -Formvar: Insulated with a polyvinyl acetal resin, heavy build (double build). Round low-end, clear highs. -Polynylon: Polyurethane insulation with a nylon top coat. Modern tone. Sligthly darker sound and more midrange than with vintage wires.